Best Choice for combined commutes with car, boat, transit, etc. 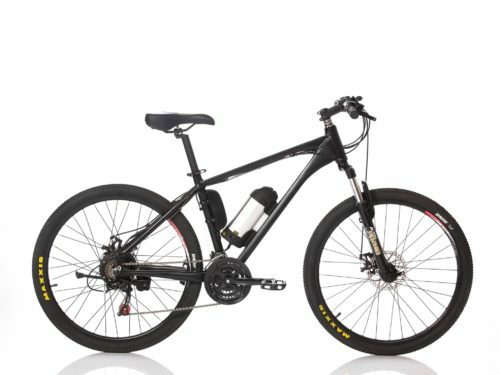 Q: Your ultra light ebike- can you tell me a bit more about it? 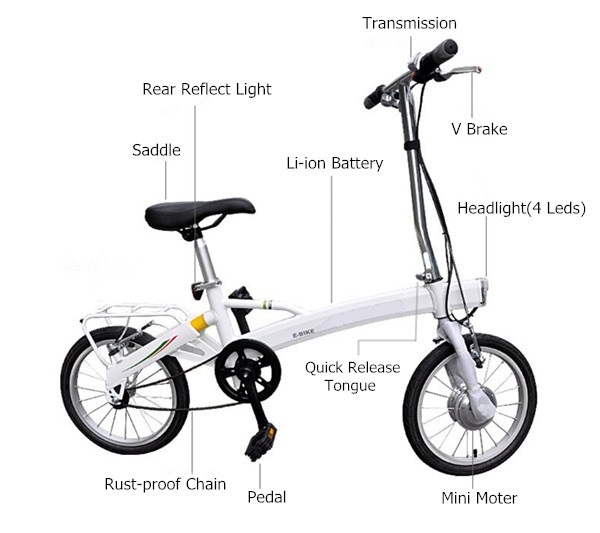 A: It is the lightest and most compact electric bike which is designed to be used for short city travels or as a supplementary mean of transportation together with cars, boats, planes, transit. 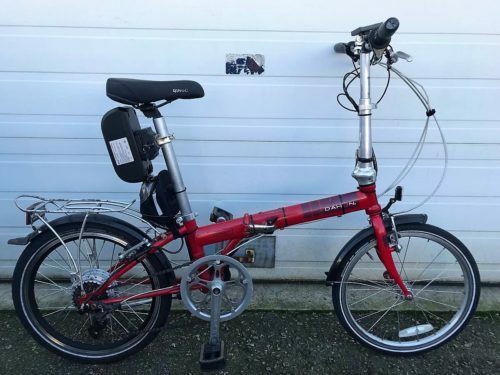 It is as light as a normal folding bike but has 250W hub motor and battery on it. It is powerful enough to climb 10-15% slope with slight pedaling. The structure is strong enough for 80kg rider. This is not a comfort or hybrid bike for long trips! 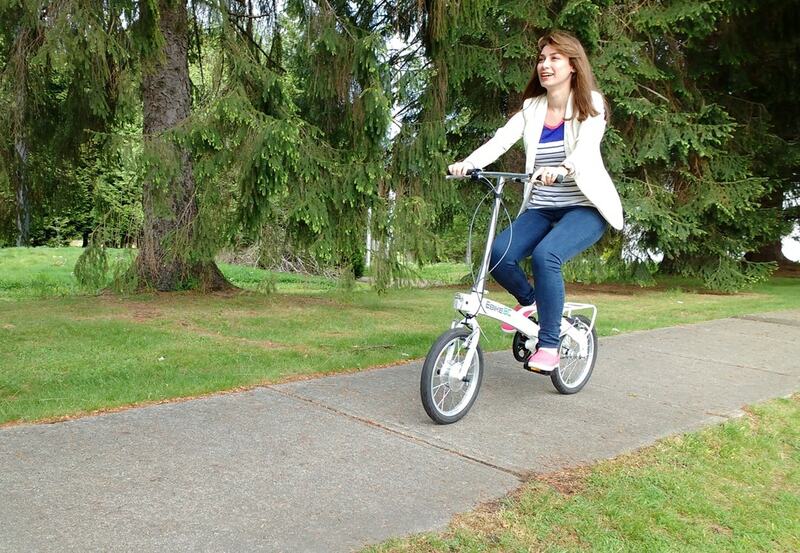 Do not over estimate this little electric folding with 16in wheels to be your commuter bike. Q: What’s the wattage of the motor? 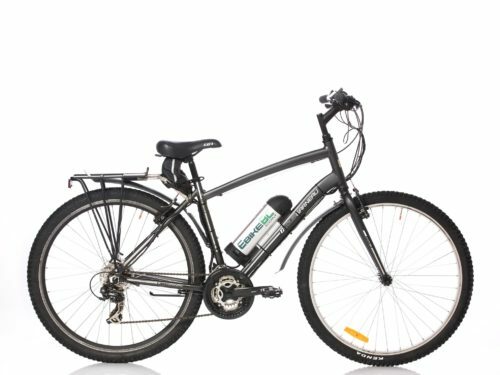 A: 250W is the motor rated power and 25km/h is the top speed. Q: Also is it a single speed bike on its own? 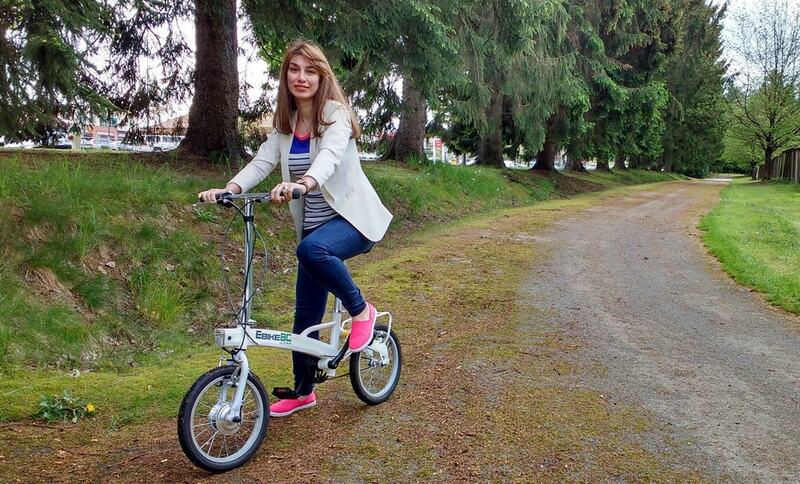 A: Yes, as an electric assist bike you don’t need the lower gears to climb up hills. 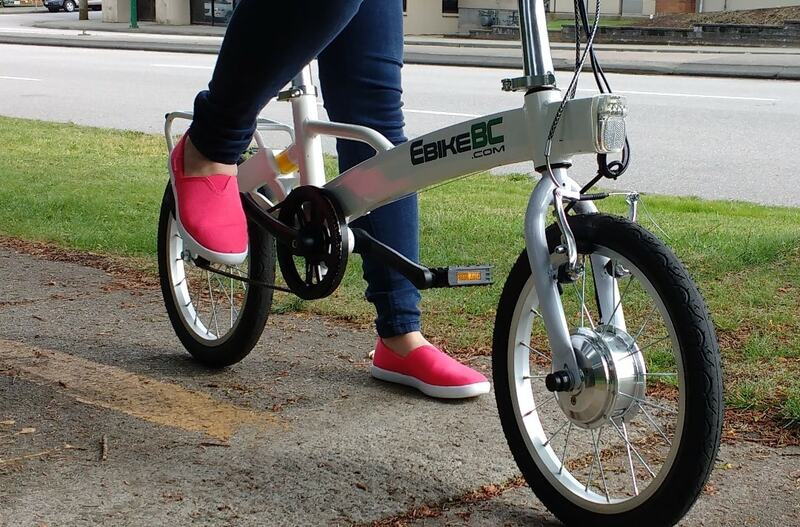 the gear ratio in this bike is optimized for 20km/h pedaling. Q: It appears that it’s got pedal assist, but no throttle, correct? A: It has pedal assist speed sensor on the crank as well as power on demand twist grip. you have always the option to go opt between the two. 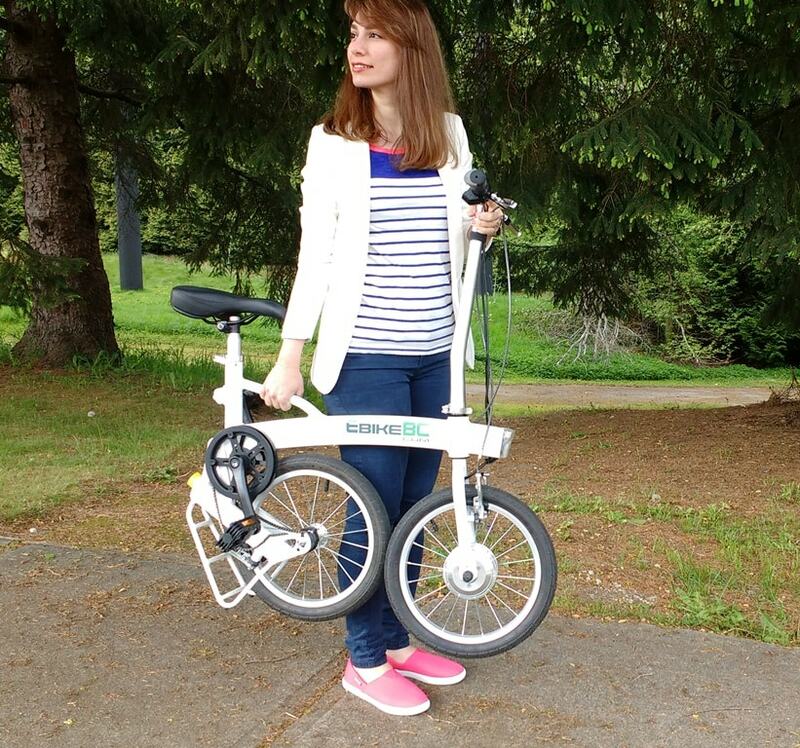 Q: What’s the expected range of travel with pedal assist? Q: How is the battery charged? Directly on the frame or is the battery removable? A: the battery is embedded inside the frame and will not be removed. 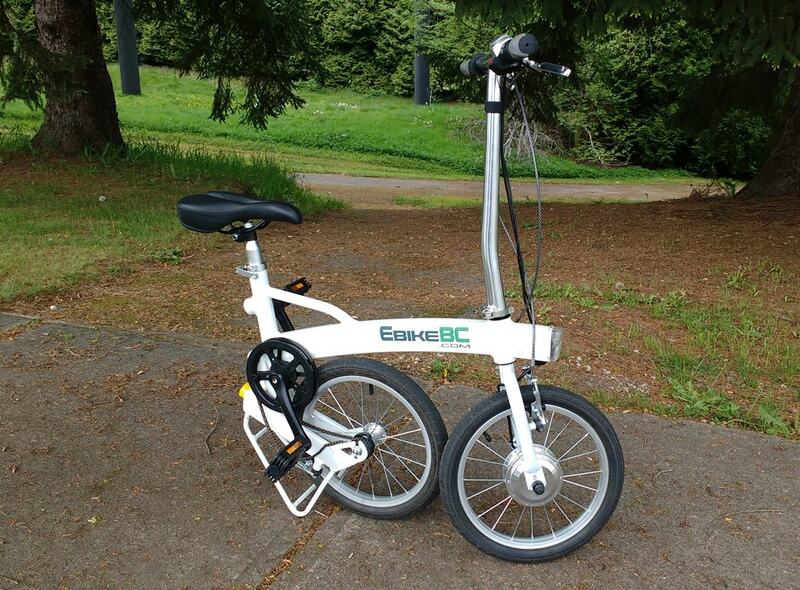 you can take the ebike anywhere with you to recharge. Here is a quick summary of a perhaps longer review with video and more illustrations to come. I am 75 now, an American long-time resident in Nova Scotia, Canada, and have never owned a car. I’ve always biked around for routine errands, and — before I retired — getting to work (not commuting in the heavy-duty sense). 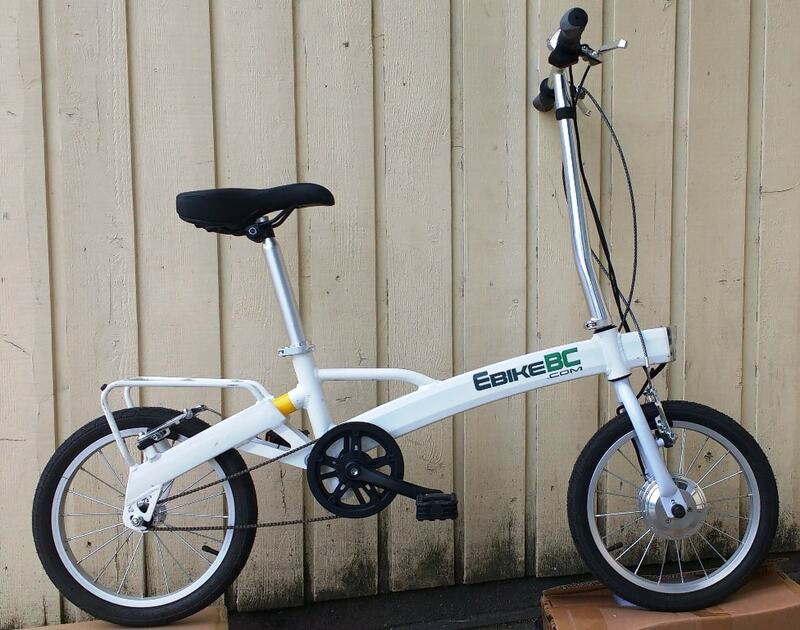 I’ve had a manual 5-speed 16” folding bike for 11 years, and a one-speed 20” folding bike for many years before that. Here are some initial impressions after just a few days and several test rides; so far, so good. • Very light: an aluminum-magnesium alloy for the frame. 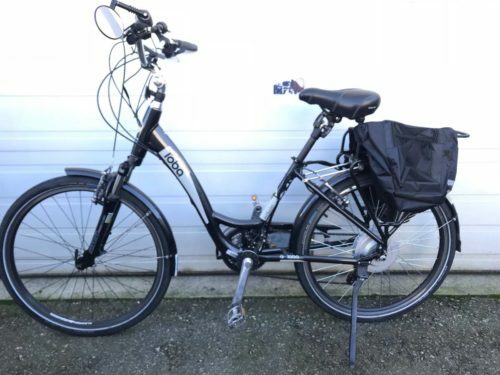 Claims to be 11 kg or 24 lbs, including motor and battery. I weighed mine, and found it to be 25 lbs. — with my cable lock (whereas my old non-electric 16” folder is 35 lbs. including two carrier baskets). • Inexpensive: $998 Canadian, or ca. $755 US, with free shipping to US and Canada. • There is an on-off button which makes the motor available upon using a twist grip; and the only readout is one, two, or three lights showing how full the Li-ion battery is. • Folds and balances itself when folded (unlike my two earlier folders which just made a random protrusive lump that could not stand nor hold themselves together). • 250 W brushless hub motor in front wheel does its thing; simple twist-grip throttle goes up to as fast or faster than I need. 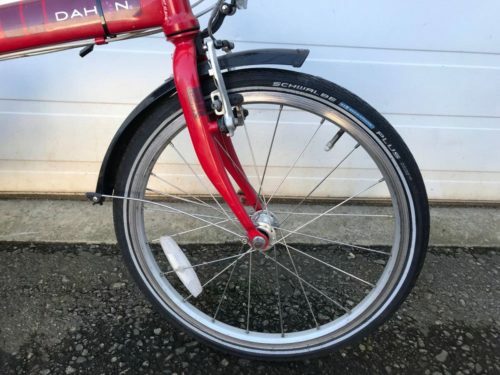 • Nice V-brakes; and folding pedals better than on my old one. • As shown in my previous post above, it can carry me (140 lbs) and a big load of groceries, uphill and all. • Though I am accustomed to single speed bikes, this one is very hard to pedal, like the highest gear on my 5-speed. • Pedal assist is not a good way to start the motor. It suddenly cuts in at too high a speed; then cuts out unless you use the twist grip as well. 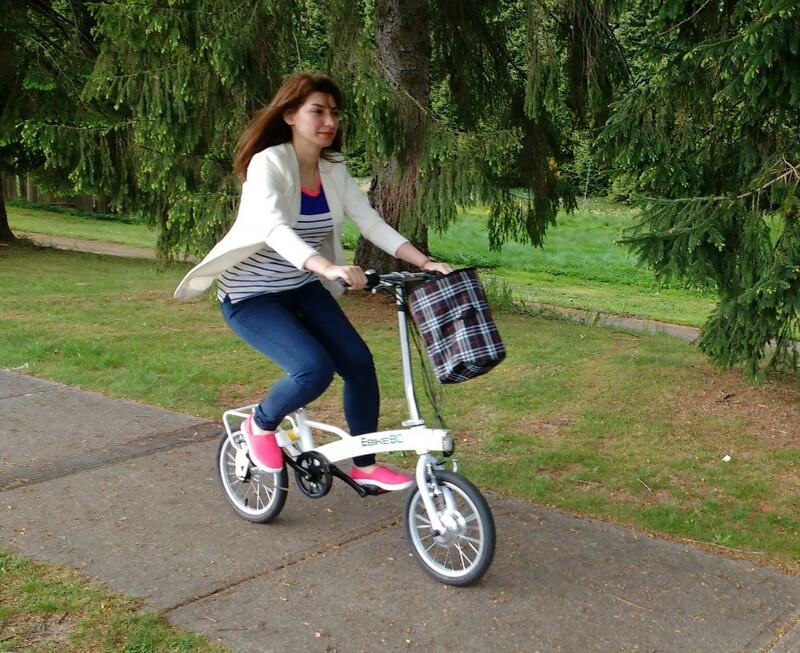 Instead, I set a preferred speed using only the twist grip, then start pedaling if desired, e.g., up a hill. • The lack of a simple battery exchange was almost a deal breaker for me; but I decided I would risk crossing that bridge when the battery wears out in five years. The battery is not only hidden in the main frame tube, but well nigh inaccessible (ergo, very hard to steal!). One has to unscrew the front headlight, etc., insert a new set of cells, and do some re-wiring. I requested pictures, and the process looks like gutting a fish. 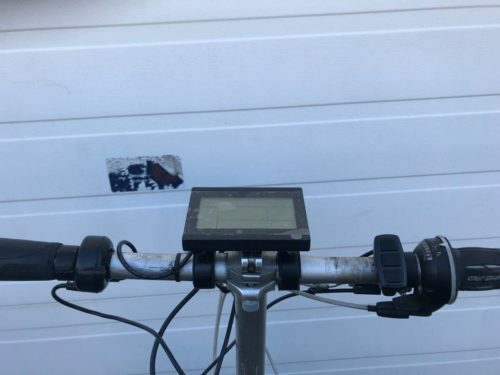 • Although the LED headlight is good looking, connected to the bike battery, and turns itself on in the dark, it doesn’t really illuminate the road in front of you. 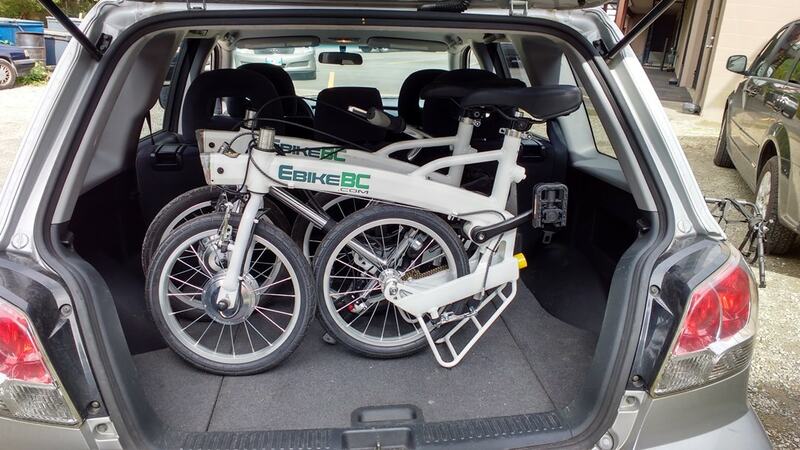 • Although the bike stands by itself in folded mode, which only takes a few seconds, it would be better to have a kickstand as well — especially for when I soon install the rear baskets on the luggage rack. 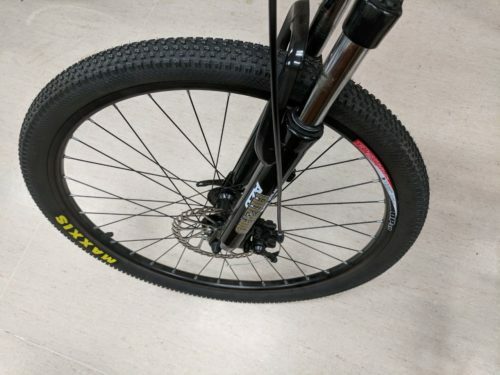 • The twist-grip is very uncomfortable, full of bumps and ridges; so I promptly covered it with a cut-out piece of a foam handlebar grip.